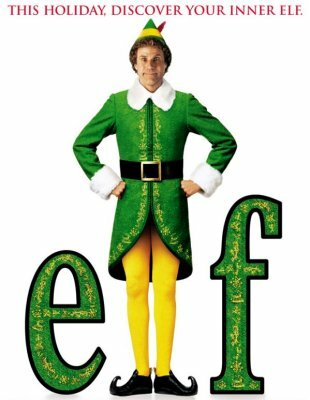 One of my favorite movies is Elf with Will Ferrell. There’s a scene where Buddy follows his dad, “Papa Elf” into the workshop for Santa’s sleigh. In this scene, Papa Elf tells Buddy that Santa’s sleigh runs with the help of a turbo engine. “But Dad,” Buddy begins to ask, “I thought Santa’s sleigh was powered by Christmas cheer?” And that’s when he saw it. The “Claus-ometer” was running on zero. Faith in Christmas was at an all-time low, and it was their job to figure out how to make the sleigh fly. They tried securing another engine to the sleigh, but it fell off in mid-flight on Christmas Eve. The sleigh was merely flying on fumes of Christmas spirit. There was only way to get the sleigh to fly: to help others have faith in Christmas once more. Do you ever feel like you are running off of fumes of your faith? Sometimes we find ourselves in a place where it seems impossible to have faith. A bad thing may happen to you or a person that you know, and faith feels just outside of our grasp. One of my best friends and I were talking about this last night, and he told me something that I will never forget. “Sometimes,” he told me, “we have to be someone else’s faith for them. Having faith is so much more than just believing in God and that Jesus died and rose again. Having faith is remaining in the sincere confidence that God is faithful, too. We stray; we lose our faith; we feel as though we have nothing left to give or receive, but God is also there. He is faithful. Faith in God is what rejuvenates us. It’s the faith of those around us that inspire us. It’s the faith of those around us–a simple way in which they remind us of God’s love–that picks us up again. God is so good, but sometimes we just have to be reminded of that. The same is true for others. Just as we need others to have faith for us in our times of doubt, we also need to have faith for someone in their times of doubt. Whenever you feel like you are running on the fumes of your former faith, take a moment to look up. See all of those around you that are living in faith for you. Be inspired. Be filled with their faith. Whenever those around you fall, don’t ever lose your faith in him or her. Sometimes having faith also means being someone else’s faith.